In photography, there are times when you are forced to take a picture with a wide-angle lens—for instance, when you are shooting a large group of people or you want to capture the vastness of a landscape. When you do, often times you will also get distortion at the edges of your image. There are many ways to correct the resulting distortion using software applications like Adobe Photoshop; however, sometimes this distortion can actually add to creative feeling of the photo. The best way to create a “camera-only” view of the world is to use a fisheye lens and recently, I challenged myself to shoot exclusively with a fisheye lens on an excursion. Why would I do that? I was in New York City shooting photos with a friend who really wanted to photograph Time Square. Having photographed the famous landmark countless times I wanted to create a new and very different portfolio of images that captured the square’s personality. Framing an image with a wide angle lens is very different to framing with a medium focal length lens, as you want to find a shot where you can show off the vastness of the scene or include many subjects near and far. What makes these images so interesting is that they offer a totally different perspective to that which is seen by the human eye. The lens has the ability to capture a 180 degree view while curving in both sides of the image adding visual tension to the image. You should plan for this and find a scene that exploits this feature. One of the great benefits of shooting with a fisheye lens is that it’s actually quite easy to find interesting viewpoints from which to shoot. A fisheye lens gives your photos a whole new view. I have shot literally thousands of photos of kids swimming at our local swimming meetings, but this image is the first time I have shot an image from under the diving block! With a fisheye lens I managed to capture the swimmer, the diving block, and the crowd looking on – this would not have been achievable with a standard lens. The fisheye has enabled me to capture the entire scene in just one shot. In the spirit of trying something new, I also held the camera out over the diving block to capture a swimmer finishing the race while also showing the volunteer timers. Again, this is a viewpoint that most people never see and one that can’t be captured with a point-and-shoot camera. These types of images are what separate a photographer from a picture taker. I should probably mention that when you use a very wide angle lens like this you need to be very careful not to get your arms, legs, or tripod in the frame. 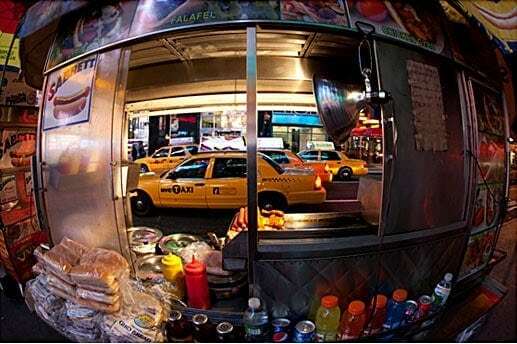 Fisheye lenses exaggerate foreground objects and de-emphasise the background, calling attention to objects that are close to you. 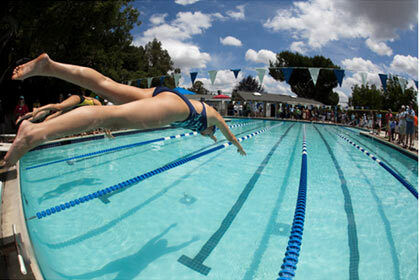 You can see an example in this photo of a diver at the swimming event. I have intentionally drawn the viewer’s eye to the diver by over-emphasizing the size of the diver’s body and putting the background in the distance. This technique also works well when shooting landscapes . In this picture of a well-known San Francisco sculpture, I have used the exaggerated size of the sculpture to frame the city in the background. Thousands of people have photographed this artwork but very few have found a way to make their images of this popular destination stand out from the crowd. Have some children stand at both sides of your frame so that their bodies curve into the center of the frame. This would be reminiscent of a fun house mirror. Capture images in very tight spaces and from unusual perspectives. Place the camera inside a school locker and take a picture of a student reaching in. 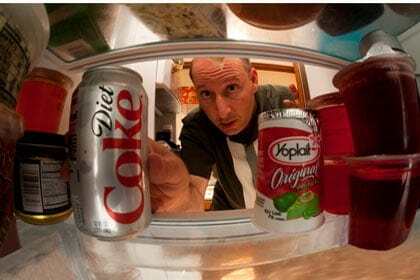 Or, place your camera in the refrigerator and take a picture of you grabbing some food. Try using a fisheye lens to take your friend’s picture and get very close. This will distort their facial features and produce a very interesting image. But remember that these images will not be very flattering, and if you show them to anyone else, you may not be friends for much longer! This post is a guest post by Jeff Cable, who is a frequent contributor on Improve Photography. MAKE SURE to follow Jeff on facebook. You can also check out his blog, and take a look at his portfolio.